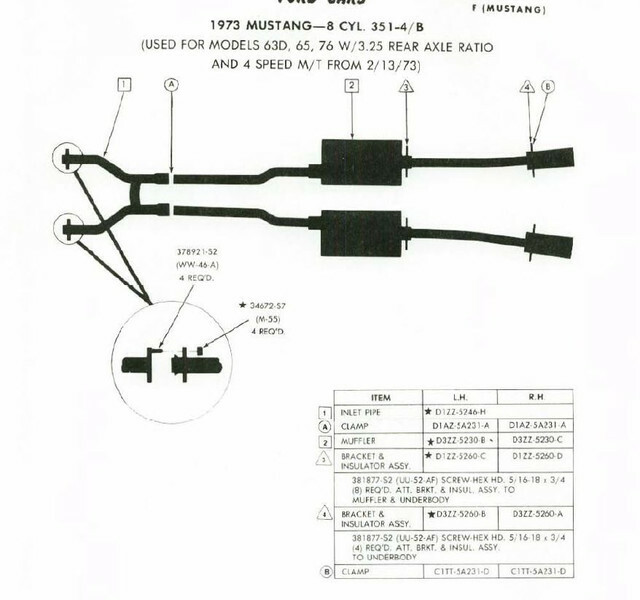 I would like to know if all '73 Mach 1's came with exhaust cutouts in the rear valance or if that was an option. Mine does not have the cutouts and I was trying to figure out if it was changed when the previous owner put the side pipes on it or it never had them. The rear valence with the exhaust cut outs was standard and only available on 71-72 Mach1's with a 4bl engine. It was a popular over the counter item and was relatively cheap and easy to change. If your not building a concours level show car and like the look, install one on your 73, they do add to the performance look! That statement is correct. 73 had a turn down on the exhaust tips instead of going back farther. In MCA you will probably find it is correct both ways. The reason being that one Head Judge that lives in Wisconsin says it is so, lol. Short history. A friend of mine here had a 73 Mach 1 gold glow with vinyl roof he was second owner. He always wanted my car because it has so low mileage. His I believe was 18,000 miles. He liked the cut outs and went to local Ford dealer and bought one and had it painted and installed it. He sold the car to Jacky Jones that owns a big Ford dealer in North Georgia. He in turn sold it to The Judge in question. 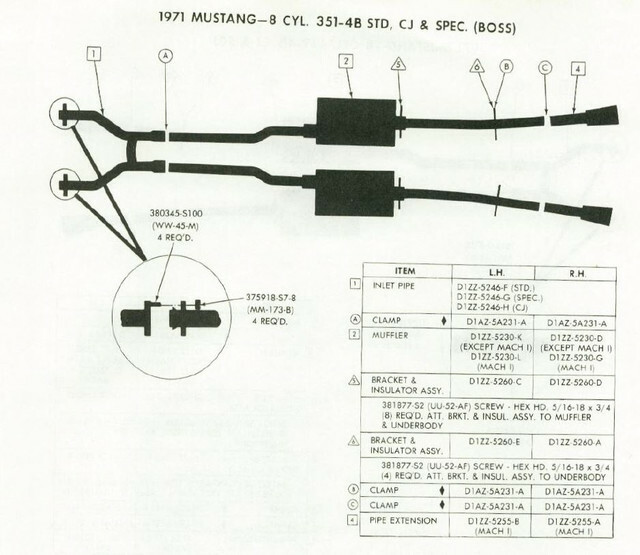 The car shows up in MM Mustang Monthly as the centerfold car and WOW it now has only 12,000 miles on it. The article states that it came from factory with the factory cut outs and is very rare, lol. Then My Classic Car is doing an on site program at this Judges home in WI. Now the car only has 7,000 miles on it. I guess he drives in reverse a lot. So I bet if you ask MCA they say yes they came from the factory but I know the whole story on that one. A lot of the MCA rules are sort of bent to fit certain cars. 40+ years can change cars a lot. I'm not going to stir up an old argument , but mine was a 351C-2V and had the cut-outs. It's entirely possible that the original owner might've asked the dealership to install a cut-out valance, or even have obtained one later (while the car was still operational, which based on the last registration sticker was only 9 years after it rolled out of the factory and sat for a year at the dealership), as my Marti Report has no indication of a the cut-out valance, which would've been an option rather than the standard on an H-Code. Mine also had headers and an aftermarket dual exhaust (Blackjacks and Cherry Bombs). Based on other things I found, I'm positive the previous owners of mine would've more likely taken a jig-saw to it, rather than actually swap out the rear valance for an optional factory part. 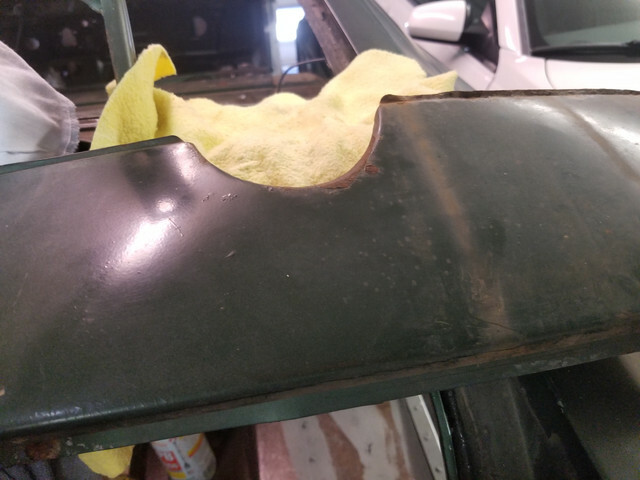 Mine was totally restorable, and I actually got it back into decent enough shape to go back on the car, but the passenger side mounting tab kept coming off after I'd weld it back on, so I opted for a reproduction cut-out valance... which fits very nicely and one couldn't tell it wasn't original just by looking at it. I certainly don’t want to cause any arguments! I appreciate all the comments. I think I have enough info and am convinced mine came without cutouts. Which is ok with me. I’m wanting to order a new exhaust and want to put this car back to the way it most likely left the factory. (08-05-2018, 03:25 PM)ChrisH Wrote: I certainly don’t want to cause any arguments! I appreciate all the comments. I think I have enough info and am convinced mine came without cutouts. Which is ok with me. I’m wanting to order a new exhaust and want to put this car back to the way it most likely left the factory. LOL! No, any argument would be all me. Years ago, shortly after I got mine, we had a multi-page... ummm... 'discussion,' about whether or not the H-Codes had the cut-out valance or not. 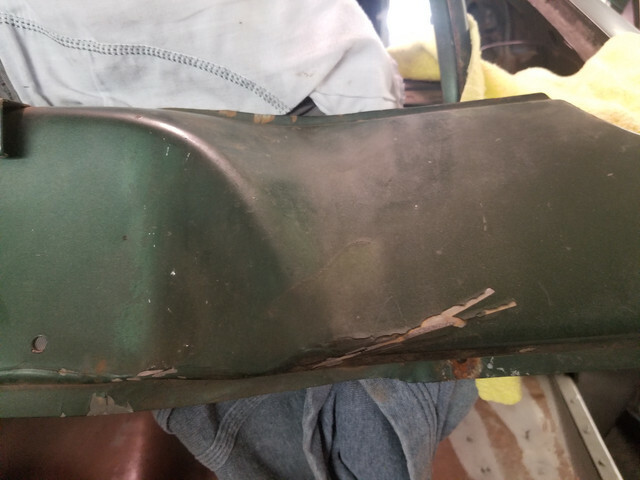 Mine was a rusty pile and the valance looked absolutely original to the age, vintage, and 'patina' of the car, not to mention the other things I found convinced me that the previous owners would not have sprung for a genuine Ford part to replace a non-cut out valance. Again, there are other likely explanations other than it being a factory mistake. Glad you got what you needed, though. Good luck with your restoration! LOL, It is not really an argument a discussion. 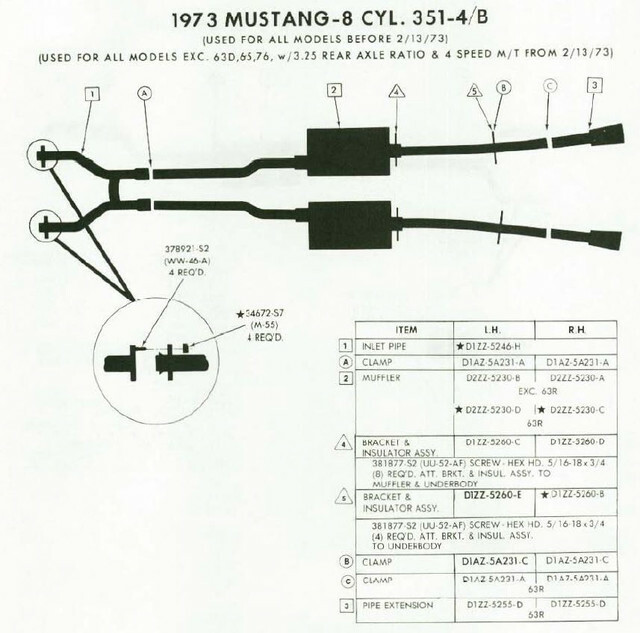 In one of the previous discussions I think someone that had the parts books even went and looked to see if there were two different exhaust systems listed for 73 and there were not. The cut out was for the Chrome exhaust tips to clear the valance on the 71 & 72 Q code. 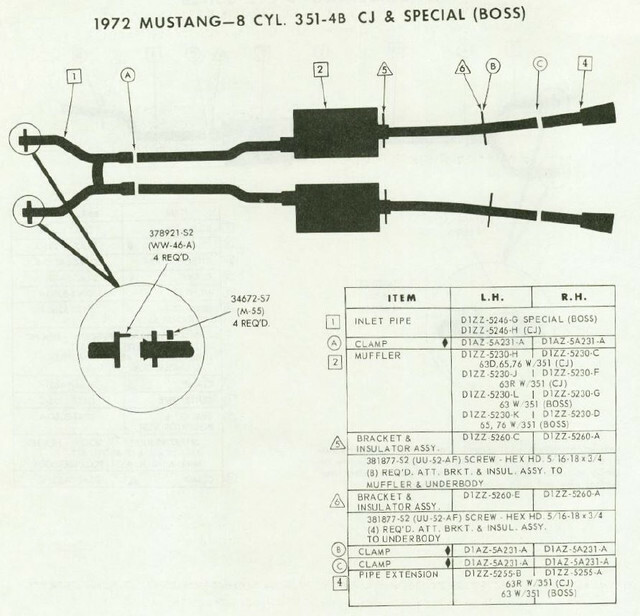 H codes did not have dual exhaust either only single. The 73 had Ford finding ways to take cost out with all the new crash stuff they had to do to the front and rear. They eliminated the chrome tips and cut outs and put a turn down in the exhaust pipe to eliminate costs. I think that panel was less than $20.00 in the day from the dealer. I have NOS bumpers that have the bills on them and they were only $21.00 for front and $18.00 for a rear. Lots of people in the day wanted their car to look different and changed lots of details. If you like the cut outs put it on if you do not then use the other. Neither will raise the ocean level, lol. Just for the sake of discussion - from the MPC. Not saying it's gospel, as we all know the MPC is not infallible. Interesting and confusing. For 73 part of diagram and info chart the February 13 date is significant. What did it change to after that date? Also the body type, axle ratio and 4 speed changed what you got. Mine is a Mach 1, Q code, 4 speed with a 3.25 axle and was built sometime in February. Would the 3.25 and 4 speed have changed what valance? Very confusing. 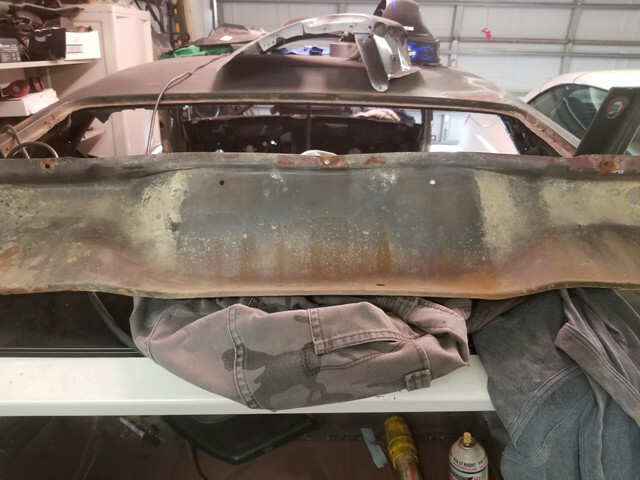 The car has never been repainted and patina on the non-cutout valance seems to match the rest of the car. I’m waiting on the Marti to arrive any day. That should tell the day the car was built. But even with that info it will still be confusing.